>Your daughter, granddaughter, sister or niece is not caring for her child or herself and is willing to allow you to adopt. Before the state takes the child and puts it up for adoption to strangers, contact an attorney. > You and your spouse are raising your child by a previous marriage or relationship. Your child’s other biological parent is deceased, hasn’t seen your child or hasn’t paid support. > You have tried to have children unsuccessfully and this fortuitous event has fallen into your life. You have learned there’s a baby available. > You made a mistake and are now pregnant. You don’t believe that termination is an option for you and raising this baby is not what’s best for your future. > Your daughter, granddaughter, sister or niece has passed away and you want to provide the home their child needs. When the decision is made and adoption is your final option, then you will need an attorney with experience in Family Law and Adoption in Louisiana. At Ellen Cronin Badeaux we have the experienced attorneys that will guide you through the entire process. There are three kinds of adoption in Louisiana: private, agency and intra-family. In a private adoption the adoptive parents and the biological parents can negotiate the terms of the adoption and the biological parents can choose, approve or disapprove of the adoptive parents through private attorneys. The adoptive parents can pay living expenses, medical expenses, transportation expenses, legal expenses, and counseling for the surrendering parents. The first kind of agency adoption is when a child is surrendered to a private adoption agency. The biological parents then have no say in the negotiation for the terms of the adoption and can not choose, approve or disapprove of the adoptive parents; the agency makes all of those decisions. The second kind of agency adoption is when a child has been taken by the State from the biological parents. Again, the biological parents then have no say in the negotiation for the terms of the adoption and can not choose, approve or disapprove of the adoptive parents; the State makes all of those decisions. Intra-family adoptions are private adoptions between family members. Because the adoption is between family members, some requirements of private adoption are relaxed. For instance: a home study may be waived by the Judge; instead of a formal Surrender, the biological parent can execute an Acknowledged Act; the counseling requirement for biological parents can be waived. The adoptive parents and the biological parents can negotiate the terms of the adoption. The adoptive parents can pay living expenses, medical expenses, transportation expenses, legal expenses, and counseling for the surrendering parents. 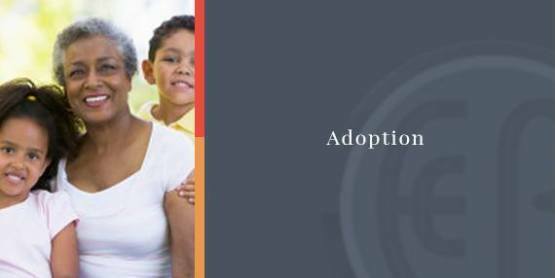 When individuals in Louisiana are considering adoption as an option they turn to The Law Offices Ellen Cronin Badeaux, LLC. With more than 23 years of experience in Family Law, Ellen Cronin Badeaux, LLC provides the strength clients need during this decision. Contact us at (985)-892-1955 and talk with our adoption attorneys in Covington Louisiana.